Launch Online Registration - The online registration pages are not mobile friendly. Use a desktop computer for best results. Registration Begins: Saturday, December 8, 2018 - 10:00 am. Registration Ends: Sunday, January 27, 2019 - 11:00 am. All registrations are done online. Both pre-registration and onsite. No more paper forms for onsite registration. People registering onsite will be given access to a computer to use to register. You are encouraged to pre-register. Included in the registration fee is access to all drop-in events, presentations, evening programs, and some field trips. Those field trips not included in the registration fee are subject to a non-refundable additional fee. Refund Policy: Refunds are not available for the Winter Adventure Weekend unless the Winter Adventure Weekend is entirely and completely cancelled. This non-refundable status has no other exception, and no refund shall be given for the following reasons, including but not limited to, the occasion of inclement weather, acts of God (including fire, flood, earthquake, storm or other natural disaster), and interruption or failure of electricity or telephone service. The Winter Adventure Weekend may be rescheduled for the aforementioned reasons and for any purpose in the interest of public safety. If you make a mistake during the online registration process we will gladly help you with any corrections to your trip selections and amounts paid. However, to adjust any amounts paid you must notify the Park by email on the same day that you registered. Although non-refundable, the participant registrations are transferable. In the event that a participant registration is transferred, notice of to whom the participant registration has been transferred, prior to the Winter Adventure Weekend, is required to be given to the Park. We will no longer accept registration transfers after the onsite registration desk closes at 4:30pm on Thursday. • Online registration only. For both pre-registration and onsite registration. • You must be 6 years or older to participate. • You must be 15 years or older to register for Level 3 and Level 4 Trips. • Participants may register for an unlimited amount of trips. Although the online registration platform will not allow you to overbook trips and travel time is included in the trip duration participants should consider time needed for parking, traffic delays, personal breaks, etc. when building their schedules. • You must complete and sign a Waiver of Liability & Risk Form and bring it to Winter Adventure Weekend. 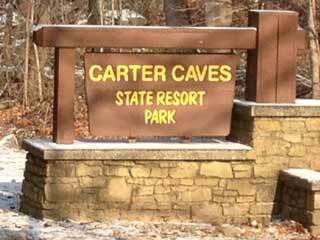 • If you are participating in a wild cave trip you must complete and sign a Wild Caving Agreement and bring it to Winter Adventure Weekend. Merchandise: We are offering a variety of merchandise for sale during the early registration process. Apparel items include Winter Adventure Weekend imprinted long sleeve shirts, short sleeve shirts, hooded sweatshirts and event head wear. We are also offering helmets, headlamps, event patches, power banks, and drink ware. View the merchandise options. Deadline: You must purchase any event shirts, helmets or headlamps while you register. Quantities are limited. You will receive your items at the registration desk in the lobby of the lodge upon checking in. Onsite Registration: Onsite registration help will be available beginning at 12:30pm on Thursday of the event in the lobby of the lodge. Walk ins are welcome! Onsite registration hours are as follows: Thursday 12:30pm - 4:30pm, Friday 9:30am - 9:30pm, and Saturday 7:30am - 4:30pm. Checks, credit cards and cash accepted at onsite registration. Participants may use the website to register for the event at any time until registration ends at 11:00 a.m. on Sunday. Trip Changes: Participants may drop out of or sign up for individual trips at the onsite registration desk. All trip changes must be made at least one hour prior to the departure of a field trip. Field trip fees are non-refundable and non-transferable.